The World of Nintendo MicroLand series just got a little bigger with the addition of a new game theme, The Legend of Zelda! 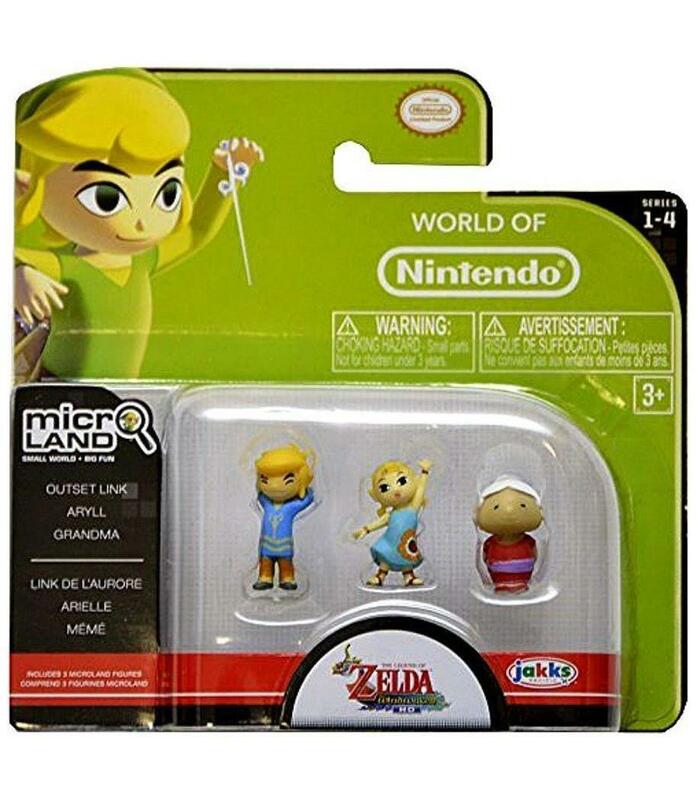 Compatible with the MicroLand Playsets, this micro figure set includes Grandma, Aryll, and Outset Link. Each micro figure measures approximately 1-inch tall. Relive all of your greatest Nintendo moments, collect them all! The World of Nintendo MicroLand series just got a little bigger with the addition of a new game theme, The Legend of Zelda! 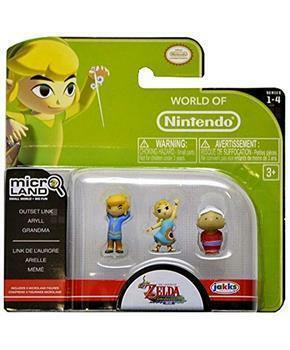 This micro figure set includes Grandma, Aryll, and Outset Link. Each micro figure measures approximately 1-inch tall. Relive all of your greatest Nintendo moments, collect them all!